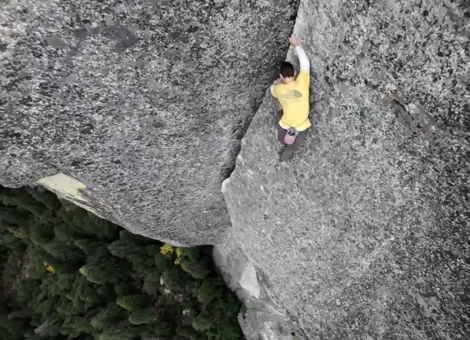 Alex Honnold is an amazing athlete. One narrator says he is like the Michael Jordan in the sport of free solo rock climbing: no rope, no gear, just rock shoes and a chalk bag. “It is profound and the ultimate. 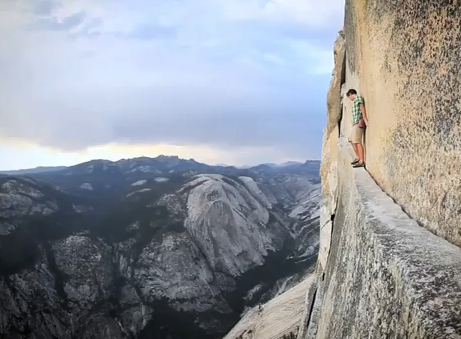 One wrong move…you fall, you die.” Most people climb the 2000 feet of Half Dome in Yosemite in a day or two. Alex does it in less than three hours. Check out the shorter video above. For more background in the 13-minute segment on 60 Minutes, watch here. He lives in a van, drives from mountain to mountain, and exists on about $12,000 a year. This entry was posted on November 23, 2011, 2:21 AM and is filed under mountain/skyscraper climbing. You can follow any responses to this entry through RSS 2.0. You can leave a response, or trackback from your own site. correctly in Explorer but looks great in Firefox. Do you have any advice to help fix this issue? Is information currently available electronically in the system being reproduced by hand on paperwork. offered in the new ZR-1 Corvette. Discover the newest and popular songs video lessons and remembers video tutorials in information. Anime – Fantasia is just one from your greatest internet sites to see when you’re searching for Totally free Anime Music Downloads or just information regarding your selected anime. Hi, this weekend is fastidious designed for me, since this moment i am reading this eenormous informative article here at my house. Nice respond in return of this difficulty with real arguments and telling everything regarding that. a famous blogger if you are noot already 😉 Cheers! mail sent near the lenders web should be consulted. Lots of loan companies accept as true people are popular and deserve one chance for the life. to say that I’ve really loved browsing your blog posts. In any case I’ll be subscribing to your feed and I’m hoping you write again soon!